We love our beards and also know what it's like to have beards that get the wrong kind of attention for being frizzy, patchy or out of control... let's call this the Tom Hanks Castaway look. Thankfully those days are behind us now and we are proud to be able to bring you products that will make your beard remarkable for all the right reasons. 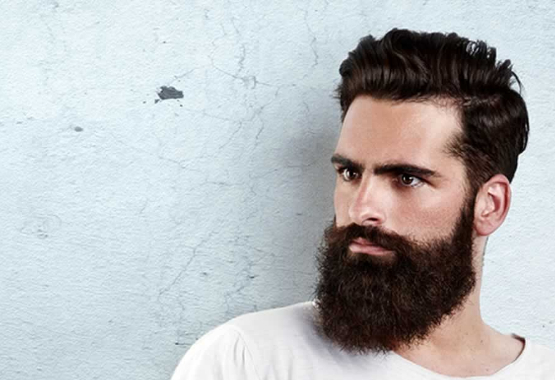 We challenge you to try our products - Find out what it is like to have the confidence and power of owning a magnificent beard, a beard women are drawn to and your friends will envy... the right kind of attention. The attention only a great beard can get. Made from the finest quality pure Jojoba and Argan Oil to tame, condition and and stimulate beard growth. Jawbone Brother's Premium Boxed Beard Oil with designer skull bottle makes the ideal gift for a bearded man. Jawbone Brothers 2017 © Copyright. All right reserved.